The Buffalo Sabres mounted a third period comeback at home vs Columbus, but ultimately fell short 3-2. Watch the condensed game below. The Sabres continue a four game homestand Wednesday night vs Minnesota. Kevin Sylvester has over 20 years of experience in media, working for stations, professional sports teams, leagues, and national broadcast entities. This experience includes being an announcer for NHL, NBA, NCAA Football, NCAA Basketball, NCAA Hockey, and The PGA Tour. 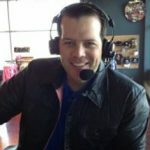 Kevin also served as the producer for the Buffalo Sabres post-game show, executive producer for a Sabres radio show, and started his own media production company, All Square Media LLC in 2008. All Square Media serves as the executive producer of the Tee 2 Green TV and Radio shows (created by Kevin), handling distribution, sponsorship sales, fulfillment, and production of the shows. Kevin's business background extends beyond broadcasting. He served as the Director of Amateur Athletics for WNY Arena LLC (Key Bank Center in Buffalo), procuring major amateur sporting events for Buffalo, NY. The major highlights include two sold out NCAA Tournaments First and Second Rounds (2007, 2010), and the 2011 IIHF U20 World Championships (Kevin co-wrote the winning bid, and served on the organizing committee for USA Hockey). Kevin created The Duster Challenge in 2016, a local 18 hole putting competition, and serves as an advisor to WNY golf ball company, OnCore Golf.